Planning to buy a car for the first time? Apart from considering the sale price of the car, COE amount, PARF rebate and depreciation of the car, there are other cost like car insurance and road tax too. In addition, you will have to factor in other miscellaneous costs like petrol, car park, car maintenance, etc. Thinking of how best you can stretch your dollar in owning your first car? Read on to find out. For a young family, you will probably need a value for money bread-and-butter car that is able to send your kids to school and to deliver your groceries. Of course, a bigger car with larger engine capacity may seem appealing but the question is, are you ready to pay higher road tax and fuel for the bigger ride? Choose what you need and what fits your budget. Different car make and model require different grade of petrol to run optimally. It is suggested that you do not fill up your car with lower grade petrol than the recommended grade by the car manufacturer. Doing so may damage the car engine which is more costly to repair. On the other hand, pumping a higher grade petrol than the recommended might give a little more boost to your car’s acceleration, but it is generally not worth to spend $10-20 more per tank on higher grade petrol. Pumping the right petrol is good enough to ensure optimum performance without burning additional money. If you are concern about petrol cost, avoid car with performance engine and choose car models like Honda Fit or Honda Vezel. Maintaining the correct tyre pressure will not only extend the life of your tyres but also maintain fuel efficiency. As a guideline, you should check your tyre pressure once a month or before going on a long trip. Check your vehicle manual for the recommended tyre pressure for optimum performance and vehicle safety. Plan your route before you start your journey so that you do not need to go extra miles which will eventually save you time and fuel. Drive smoothly and avoid being harsh on the throttle. Anticipate traffic slow-downs and avoid any unnecessary sudden braking. This would reduce unnecessary wear and tear, and stress on the car’s drivetrain which will save you money for repair in the long run. Insurance coverage is mandatory for all cars in Singapore. The key is to read the fine print and get the correct coverage for your needs. Sometimes you may be insured more than what you actually need. If you are unsure, let Speed Credit help you get the best insurance quote. Submit your enquiry here and we will get back with the recommended insurance coverage and quote that suit your need. Have your car checked and serviced regularly by your trusted workshop to ensure your car function optimally. Make sure that your car’s engine oil and ATF oil are changed regularly. A poorly maintained car usually have a higher fuel consumption and is more prone to breakdown. Thus, it is important to have your car serviced regularly to avoid unnecessary cost like car breakdown services. Ready to get your first car? Now is a good time as COE is still low. 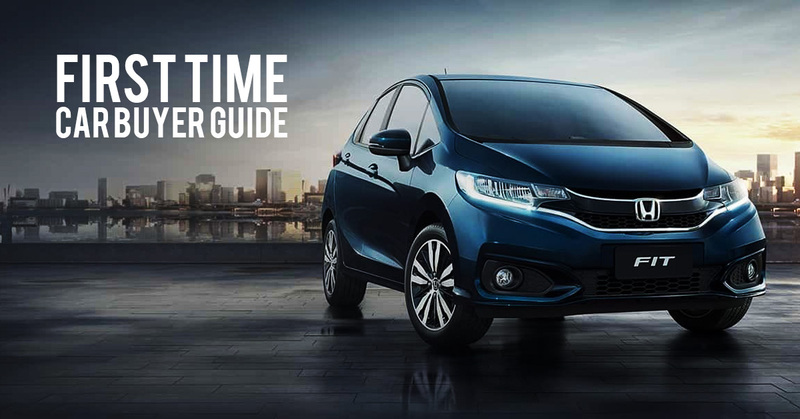 For younger families, we recommend Honda Fit 1.3 GF selling at $72,888. For extended or bigger families, we recommend a 7-seater MPV such as Honda Freed Hybrid or Toyota Sienta 1.5G selling at only $91,888.